Aloha! I’m back I’m back! 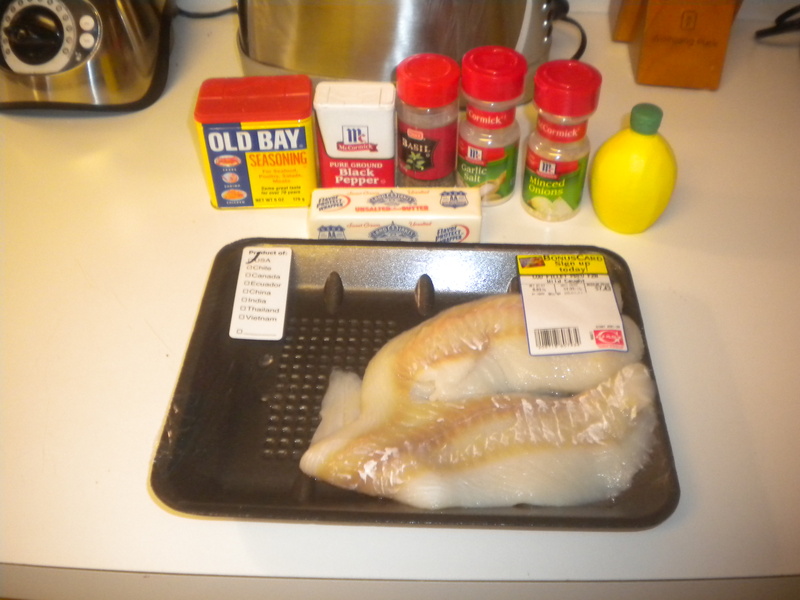 I just got back from California, and decided to whip up this really easy cod. It’s great as a light dinner– I had it with a little salad. I’m so happy to be back and posting recipes again! Thanks for being so patient and I hope you enjoy this recipe. 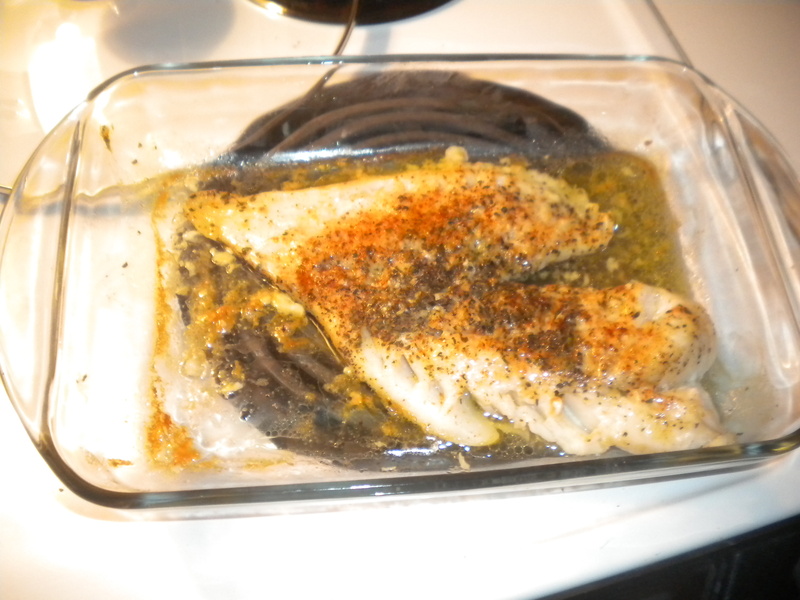 1) Pour lemon juice over both sides of fish. 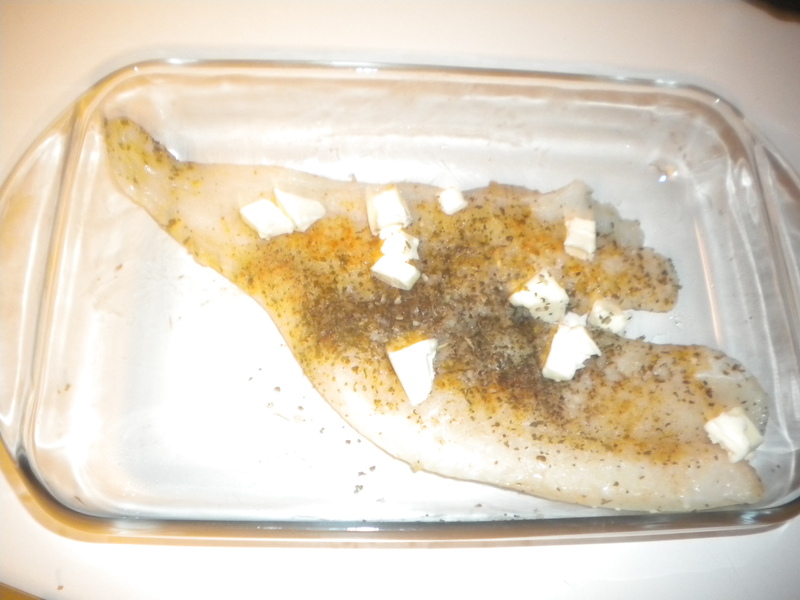 Season each side of fish with the garlic salt, dried basil, old bay, black pepper, and minced onions. Let marinade for at least an hour. 2) Preheat oven to 375 degrees. Sprinkle butter cubes on the fish and bake the fish for 15-20 minutes.